This week, I have only one favourite to share with you. It’s sweet, delicious, and so much fun. Can you guess what it is? Well, I suppose I’ve already given it away in the title and the picture. Cupcakes! I spent a year in London from 2008-2009. It was the best thing that’s ever happened to me. It would have been even greater still if I had found this treasure while there, the Primrose Bakery. I really wish I had had a chance to go. My mum-in-law got me the cookbooks from Primrose Bakery last Christmas. I’m a true convert, and my husband’s been so happy. I’ve been able to make recipes that he grew up on, like Victoria Sponge cake and lemon loaf. I recommend giving either the app or the cookbooks a try! What’s your favourite cupcake flavour? 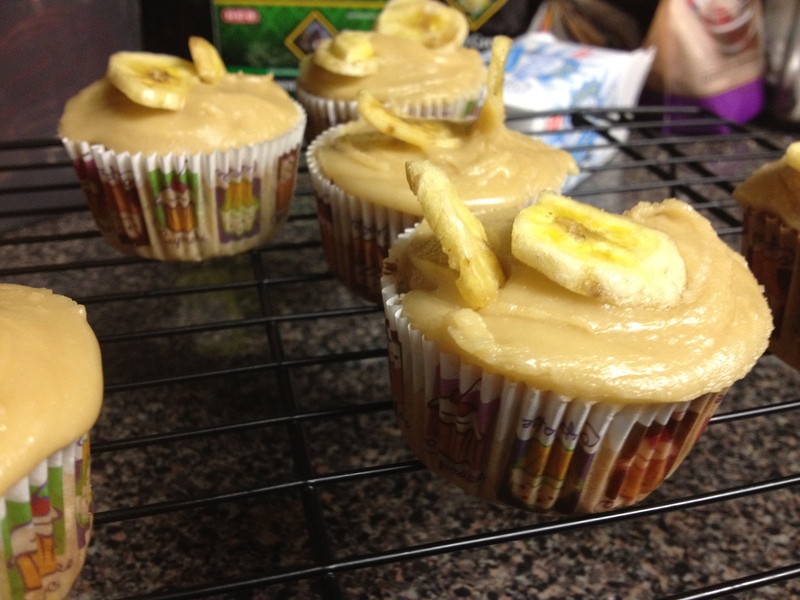 Right now, mine is the Banoffee Pie Cupcake.